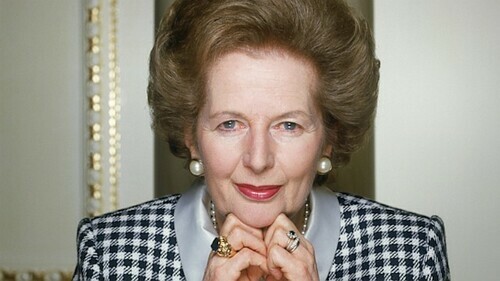 Margaret Thatcher is an emblematic figure of the english policy. Daughter of a modest family she was working first as chemist before to be barrister and after she was elected member or parliament. She became the first woman to lead a major political party in the United Kingdom. It was the conservative party. She was also prime minister and she was re-elected third times. She made the longest mandate without interruption since the XIX century. She was elected on a difficult moment for England, but she succeed to redress the economy by instituting drastic reforms. Conservative, her career will be marked by lower direct taxes, controlling inflation and public deficit, opposition to the USSR and the defense of free trade in the European Community and other positive actions. However, some of her actions will be judged as negative. Indeed, higher unemployment, higher inequality and higher indirect taxes tarnish her image. Margaret Thatcher is one of the most admired political figure but also one of the most hated English. She even earn the nickname "Iron Lady" symbolizing her firmness and conservatism bringing a revolution in the English government.